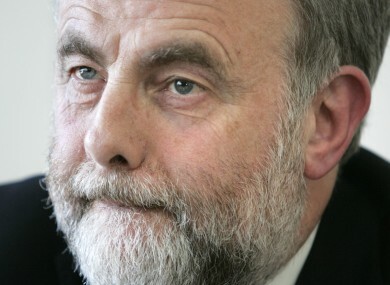 The SIPTU president said that consumer confidence had to be increased to aid economic recovery. PRIVATE AND PUBLIC sector workers should not be pitted against each other over the issue of pay increases, Jack O’Connor has said. The SIPTU President made the comments to “address any misunderstandings” he said might arise from an article in today’s Irish Independent. The piece describes O’Connor and Brendan Lawless, president of the Public Service Executive Union, as being “at odds” with each other over the issue. O’Connor said he had “no interest in facilitating a mischievous attempt to pit worker against worker and union against union”. He said that SIPTU have always believed that growing domestic demand and consumption was vial to economic recovery. This in turn is dependent upon how much money people have in their pockets and the degree to which they have the confidence to spend rather than save it. Therefore, increasing pay is now one of the steps which is absolutely key to the momentum of growth. It is also the route to generating the resources to rebuild public services and restore the pay which public service workers have lost. For example, increasing the bands applying to the universal social charge which would benefit all workers instead of simply concentrating relief on the better off as is being suggested by some politicians. “Any tax reductions must be funded by a combination of economic growth and increasing the tax take from the wealthy and those on top incomes,” he added. Email “Private and public service workers must not be 'pitted against each other' - Jack O'Connor”. Feedback on “Private and public service workers must not be 'pitted against each other' - Jack O'Connor”.